Moving on, this is a oneshot that I’ve been wanting to do for a while. It’s in a bundle of about 15 oneshots that we been working on for the past two years. I like this oneshot because on the surface it’s cute and fluffy, but when you really think about it, it’s very messed up. I’ll talk more about it in the comments. Please tell me what you think of this oneshot in the comments. 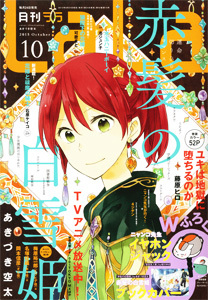 Next up will be the last two chapters of “The Ice Queen” followed by new Akane Ogura and Keiko Ishihara works. Like I said, it’s cute on the surface but it’s really a disturbing oneshot. Haha! I don’t think Sachiko learned anything at the end of this story. True. I’d like to see how she would react once Nyaa is gone since cats have less life span than humans. I didn’t actually take her words as Nyaa being the last resort but rather that even if she doesn’t succeed in love she’s not lonely anymore because Nyaa is waiting for her at home. It’s not like she’s interested in him as a romantic partner but rather a companion since even though he has a human form, he’s still a cat. She does seem to be solving her issue by replacing the manager with Nyaa rather than becoming stronger but I think that’s fair enough since a lot of people combat loneliness by getting a pet. Might not be the most stable solution but she has time to grow up. Interesting, but I really don’t like the main character. Hard explain without posting spoilers, but she is so selfish. I guess she is only about 19 (ish? ), but still, have some respect for others. Good story, but I want to smack her. Thank you very much for all your work to share, I’m happy to read!! As always, thank you for your work! You always pick very interesting series!